This week Paul will instruct four different groups of believers: children, parents, slaves, and masters. Last week (5:22-33), husbands and wives were instructed to love and submit based on the superior and everlasting relationship between Christ and His bride, the Church. In this week’s section, Paul will emphasize submission to authority and repeatedly direct the focus back to the Lord of lords and King of kings. “Paul’s solution to the antagonisms in the home and in society was regeneration—a new heart from God and a new submission to Christ and to one another. God’s great program is to ‘gather together in one all things in Christ’ (Eph. 1:10). Paul indicated that this spiritual harmony begins in the lives of Christians who are submitted to the lordship of Christ” (Wiersbe, 52). Thus, as each believer does his or her part, no matter how great or small, God’s plan to reconcile and consummate all things through Christ is advanced. For those in authority, they must use their power and status for the ultimate good of those under them. Conversely, for the majority who are subjected to those in a position of authority, they must honor and respect their superiors and work as if they are working for the Lord Jesus himself. Paul addresses children first and states that it is God’s will for them to be obedient to their parents. When they submit to their parents and obey their instructions, then it pleases the Lord and also gives honor to both father and mother. Notice, also, that a child’s obedience is not merely to avoid punishment, Paul provides the ultimate rationale, “...because [obedience] is right” (6:1b). Sadly, when it comes to obedience, more often than not we see unrighteous behavior among children, and the vicious cycle continues when spoiled youth grow up to be adult rebels (cf. “sons of disobedience” in Eph. 2:2; 5:6). The problem of disobedience is so severe and pervasive that Paul says it is also an indicator of the last days prior to the final judgment (2 Tim. 3:2; cf. Rom. 1:30; Eph. 5:16). Consequently, because of the increase in corruption and disrespect for authority (2 Pet. 2:10; Jude 8), the earth is becoming a treacherous place full of ungrateful, disobedient people. Thus, it is imperative that children “in the Lord” obey their parents, whether biological or adoptive. * To obey in the Lord is to acknowledge that Jesus is the true Head of the household with parents directly under His authority. *Eph. 6:1 states that children are to obey their parents "in the Lord." Does this phrase indicate that children don't have to obey non-believing parents? Hoehner clarifies, "The phrase in the Lord does not mean that children are to obey parents only if their parents are believers. As Colossians 3:20 clearly denotes, a child's obedience to his parents is pleasing in the Lord's sight" (641). Therefore, the phrase "in the Lord" modifies the verb "obey" rather than describing the "parents." *In the Old Testament, disobedience and rebellion against parents is dealt with swiftly and severely, because this sinful behavior is equal to treason and idolatry toward God (see Ex. 21:15, 17; Lev. 19:3; 20:9; Deut. 21:18-21). When we take a closer look at both Exodus 20:12 and Deuteronomy 5:16, and then compare these verses with Eph. 6:2-3, we discover that Paul purposely omits the phrase, “...which the LORD, your God, has given you.” Question: Why does Paul leave out this part about God giving the land? Answer: Because Christ’s body, the Church, has not been promised the specific real-estate designated for the 12 tribes of Israel. The Church is given an altogether different promise (recall Eph. 1:3, “...[He] has blessed us with every spiritual blessing in the heavens, in Christ,” and see also Eph. 2:6-7; John 14:1-3). “[Eph. 6:3] does not mean that everyone who died young dishonored his parents. 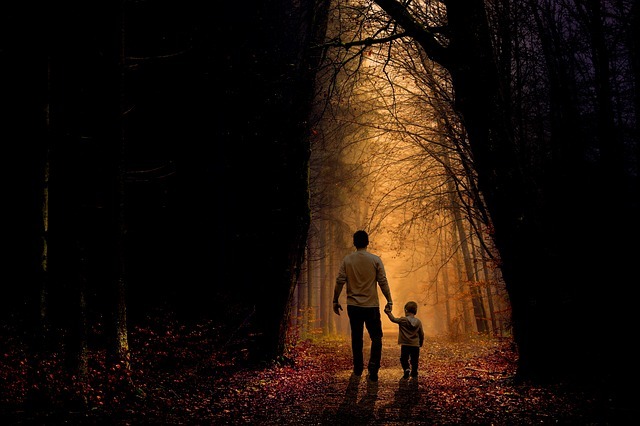 Paul was stating a principle: when children obey their parents in the Lord, they will escape a good deal of sin and danger and thus avoid the things that could threaten or shorten their lives. But life is not measure only by quantity of time. It is also measure by quality of experience. God enriches the life of the obedient child no matter how long he may live on the earth. Sin always robs us; obedience always enriches us” (53). After addressing the children, Paul turns his attention to the fathers in Eph. 6:4, “And you, fathers, do not provoke your children to wrath…”* Though fathers are typically seen as the primary disciplinarians in Scripture (see Heb. 12:5-9; Prov. 3:11-12), the Greek word pateres can also include mothers (see Heb. 11:23, “...after he was born, [Moses] was hidden by his parents [Grk., pateres] for three months, because they saw that the child was beautiful…”). *The Greek word paraorgizete translated "provoke to wrath" is found here and only two other places in the NT: the parallel passage of Col. 3:21 and the exceptional instance of God provoking Israel to wrath in Rom. 10:19. *The phrase "bring them up" is one word in the Greek text of 6:4. The word ektrepho ("to feed, nourish") is the same word used in Eph. 5:29 in reference to Christ's concern and care for the Church. Thus, fathers get double-duty: to nurture/nourish their wives and their children! *Parents who consistently love and nurture their children according to God's principles will be laying the foundation for a faithful walk with the Lord. Moreover, children who learn obedience early will have an easier time later avoiding the undesirable behaviors that Paul previously listed in Eph. 4:25-32 (esp. 4:26-27, 31). Given the horrors of the modern-day practice of slavery, especially prior to the Civil War in America, it can be difficult for the 21st-century Christian to fathom why Paul addresses slaves and their masters without saying a word about slavery being evil, unrighteous, or something that needs to be abolished forever. Hence, modern readers of Eph. 6:5-9 need to first understand Paul’s original context and appreciate the way God patiently accomplishes deep and lasting change in the world. Notice that the apostles never encourage believers to upend governments or deeply entrenched institutions in society (e.g. Matt. 26:51-54; Rom. 13:1-7; 1 Pet. 2:11-25). Instead, they always focus on individual, spiritual growth which may or may not lead to greater transformation in the broader community. “...slavery in the Greco-Roman times was not what modern-day slavery is...the closest analogy to this ancient situation in modern times is the employer-employee relationship, though there are differences, of course...there is no direct condemnation of slavery in this section (Eph. 6:5-9), but the level of mutual respect and reciprocity of actions exhorted here erodes the “function” (the traditional conduct of slaves and masters) that makes the “form” (the very institution of slavery) harder to sustain. Thus the failure here in Ephesians is not on the part of the text (or its author); rather the failure is of those who refuse to live by the demands of its radical Christianity that, because of the impartiality of God, view humans as equal in essence as bearers of the divine image.” (192-93). *The phrase "fear and trembling" does not mean that slaves are to serve their masters in constant terror and dread; rather, this phrase implies a submissive attitude of an inferior before a superior (see also Mk. 5:33; 1 Cor. 2:3; Php. 2:12). **The Greek word opthalmodoulia literally means "eye-service" and appears to be another one of Paul's original creations. 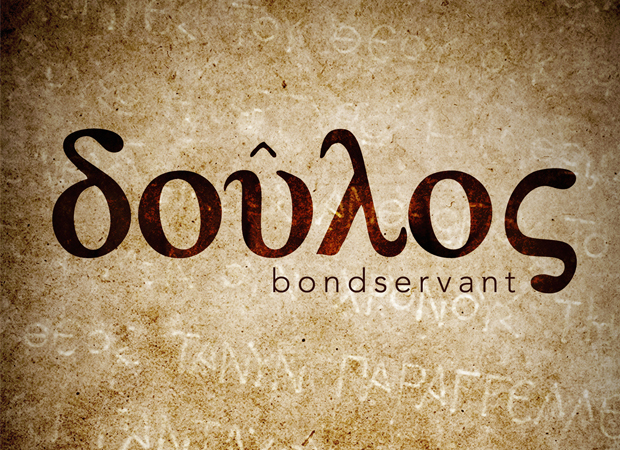 This word is only found here and in Col. 3:22 (and nowhere else in surviving, extra-biblical Greek literature). This newly-forged term for the occasion is a deliberate play on the word doulos ("slave/bondservant") used throughout 6:5-9. While slaves are not guaranteed their freedom in this age, they are nevertheless free to render service with sincerity of heart as to Christ, not to men, and will also receive an eternal reward, “...knowing that whatever good anyone does, he will receive the same from the Lord, whether he is a slave or free” (6:8). Lastly, in 6:9, Paul addresses masters, albeit with a surprise ending. Masters aren’t let off the hook in the least, “And you, masters, do the same things to them [your bondservants]...” Truly, the apostle plants the seed here for a Spirit-controlled mindset that would later result in the abolition of slavery in later centuries. By stating that masters must treat their slaves with sincerity and goodwill—“giving up threatening”—Paul subtly undermines the whole system of degrading, abusive, and inhumane treatment of human servants. “The sense of mutuality affirmed by “do the same things” (6:9), already underscored in 5:21, should not be neutralized. Early Christianity consistently saw true leaders as primarily servants themselves (Matt. 20:24-28; Mark 10:41-45; Luke 12:37; John 13:1-17; also see 1 Cor. 9:19; Gal. 5:13)...[m]utual respect and submission in every category of household hierarchy is therefore an integral part of the consummation of all things in Christ (cf. Eph. 1:9-10)” (Kuruvilla, 198). In the last part of 6:9, Paul makes it clear that human “masters” are, in reality, slaves to their Master in heaven, and He shows no favoritism toward any of His subjects (cf. Acts 10:34; Rom. 2:11). Therefore, it’s a level playing field when it comes to pleasing God and gaining a heavenly reward! “Children obey their parents and parents gently instruct their children, and slaves obey their masters with sincerity and masters treat their slaves likewise as they both serve God—all furthering unity and promising reward" (Kuruvilla, 198). In 1 Timothy 3:15, Paul refers to God’s household, the Church, as “the pillar and foundation of the truth.” Based on the implications of the Church's critical role on the earth, imagine a world without “salt” and “light,” or the restraining influence of the Spirit-indwelled body of Christ (cf. Matt. 5:13-16; 2 Thess. 2:7). The disobedience and rebellion would go unchecked and lawlessness would multiply. Furthermore, the way that the Church fulfills its function as the pillar and foundation of truth in society is through obedience and submission to Lord who reigns over all. Ephesians 6:1-9 shows how each believer, from least to greatest, can choose to preserve the unity of the body, living and working together, all under the control of the Holy Spirit in service to Christ for the glory of God. The key battleground is within the home itself—we make it or break it starting with the immediate relationships in our family: fathers, mothers, and their children. Also, as noted in the commentary above, the master/slave relationship in Eph. 6:5-9 best applies to our modern context in the form of the employer/employee relationship. Ultimately, each believer’s service is unto Christ. We obey governing authorities, because Christ governs all and will reward each one of us for our faithful submission and obedience (cf. Rom. 14:12; 2 Cor. 5:9-10). After all, in the nine verses of 6:1-9, there are nine references to God —“Lord” (6:1, 4, 7, 8); “Christ” (6:5, 6); “God” (6:6); “Master” (6:9); and “Him” (6:9). God sees the heart of each person, whether slave or free, janitor or CEO. Managers and servants alike who work with sincerity of heart and good will toward others will be rewarded by God himself. He does not forget, and nor does He fail to keep His promises. Lastly, He will not show partiality or grant special favors to anyone when it comes to future compensation. All believers have an equal opportunity with God to store up treasure in heaven regardless of their family role or job title! Bottom line: Every saint a servant! 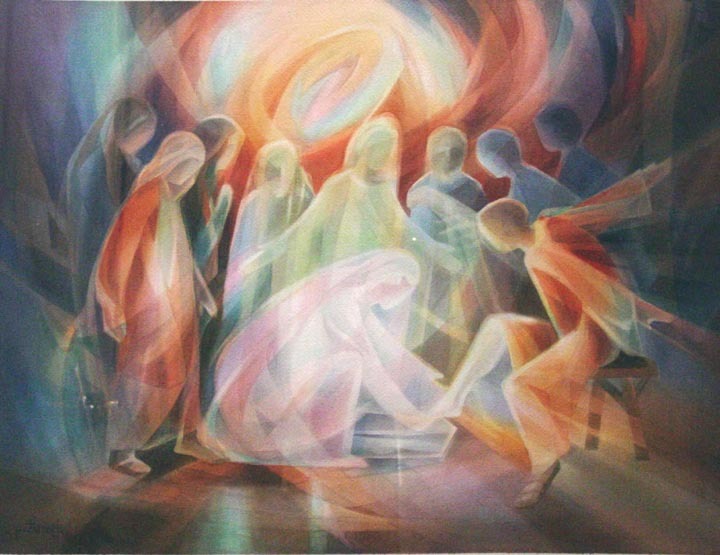 I'm living for the world to see nobody but Jesus"
These last two weeks have shown us what love looks like and we get a glimpse of the Trinity: eternal, mutual submission of persons subsisting in One another. You got it man. If the body of Christ could just get the submission to authority part down, especially, then we would be doing well in a society that is easily provoked to anger and continually upset that someone, somewhere is violating their right to sin. Thank you Jeff! This is great really! Studying with! It's interesting here to me connection with Eph 5. You show this very good. Making my outline with Eph 5:18, because my topic is here the work of Holy Spirit in us. This is purifying work of HS, my thought. The work of HS gives us the strenght to leave carnal habits. This is then purifying. And He gives us also gifts to serve! Just some thoughts, making my outline with this study! Very much blessings! Eph. 5:18 is a good place to begin your outline of the "household" section of 5:22-6:9. This move is validated grammatically: the main verb "be filled" in 5:18 is followed by the 5 modifying participles, "speaking," "singing," "making melody," "giving thanks," and "submitting" in 5:19-21. The key participle "submitting" (to one another) then flows in the entire 5:22-6:9 section. I am grateful for the eleven years that I had with my dad before he passed away. Since I have been born again of God's Spirit I can see that the scripture 'train a child in the way it should go and it will remember it when it is older' fits exactly what my dad did. Whenever me and my siblings argued we would say 'Dad, dad who is right?' He would go to his Bible and say 'Let's see what the Lord says' and always found a proverb or scripture which solved the issue. Nice Jeff. This makes me appreciate my mother even more. She is a wonderful example in how to treat her children and raise them in a Christian home.